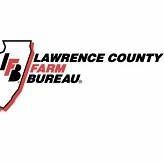 The Lawrence County Farm Bureau’s 99th Annual meeting is scheduled for this evening. This meeting will include dinner, silent and live auctions to benefit the Farm Bureau Foundation, and the Lawrence County CEO class as guest speakers. Registration begins at 5:00 pm with the event starting at 6:00 p.m. This event will take place at the Central Christian Church at 303 Buchanan Drive in Lawrenceville.